If you need a cute and handy bag to store your knitting or crochet projects, you are going to love this month's giveaway! This Japanese knot bag can be filled with your latest little project or whatever you choose. Then just slide the long strap through the short strap to secure your items and carry the bag. The bag is reversible with purple chevrons on one side and some colorful polka dots and lines on the other. 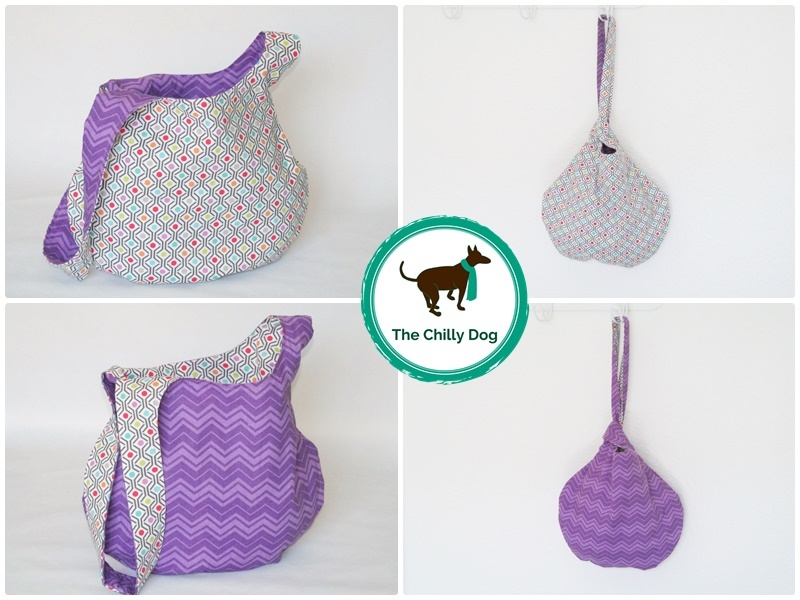 Just in case you don't win it, here's my free Japanese knot bag tutorial and pattern so you can stitch your own bag. August 2015 Giveaway: Win a cute, reversible Japanese knot bag, perfect for carrying your latest knit and crochet project.